Tambayan Sa Kanto Now Offers Christmas Pork and Chicken Hams! Tease the season to be jolly! Christmas season is all over the places in the Metro! 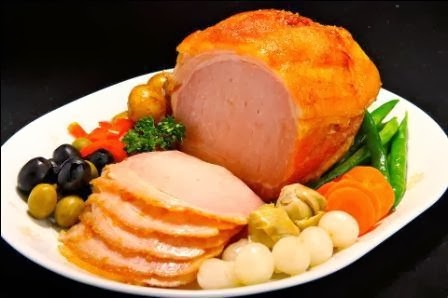 And inline with this happiest event of the year, Tambayan Sa Kanto, the restaurant which offers all great Filipino cuisines now offers Christmas Hams! Ham is a Pinoy star of every Noche Buena. The Filipino Christmas would not be completed without the presence of this favorite hams on the table. 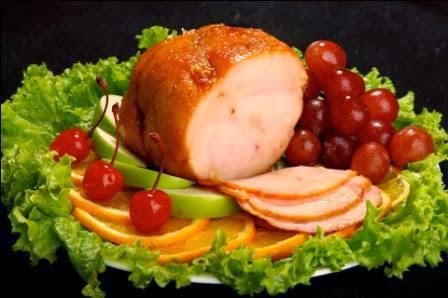 Therefore during this yuletide season, many food companies offer different ham products. It's good to know that Tambayan Sa Kanto now offers the real Filipino ham. It is a home-made ham that will truly captivates the taste buds of Filipinos. And yes, it comes with two varieties - the Pork Ham and the Chicken Ham. So if you're wondering where to buy genuine hams with no chemicals, no preservatives, and less additives, worry no more 'cause Tambayan's Hams were up for grabs! Well, if you want to avail these yummy hams from Tambayan, you may contact the following numbers: 4779045 / 5461888 / 09177550790. For more details, you may even like and visit Tambayan Sa Kanto's Official Facebook Fan Page at https://www.facebook.com/TambayanSaKantoResto. And of course, if you want to dine-in together with your family and love ones and taste the goodness of Filipino foods, you may come and visit Tambayan Sa Kanto located at the Ground Floor of The Podium, Ortigas Center, Pasig City.